This is a catalogue of the largest public collection of H.S. 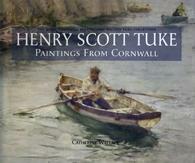 Tuke’s work in the UK. Catherine spent four years researching the paintings in this collection and has written the notes on each work and introductions to each period/ subject covered. (see cataloguing art collections).Designed by Steve Collinson, with a preface by Alison Smith from Tate Britain this catalogue is a unique record of an outstanding collection of 277 works each one illustrated in full colour.